I don't have JF's Milk Chocolate but I put in 1% MB Glamour Chocolate and used only .5 sweetener and it's excellent. Very smooth. Made a batch for my Sister and she loves it too. I am a sucker for anything Chocolate. This is my first Chocolate vape and I keep this is my rotation. It hits the profile nicely. Not my adv but doesn't mean it won't be yours! Awesome! 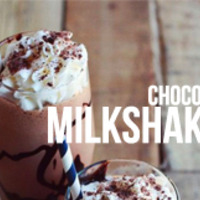 The same as drinking a real amazing chocolate shake! Delicious chocolate vape! Personally I prefer this over Cuprian as I'm not a big fan of mint.